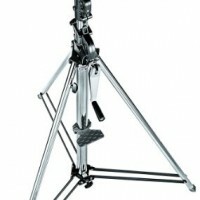 This solid wind up stand from Manfrotto is made from black steel with a geared column. The 2 risers extend smoothly and simultaneously at 4.4cm per turn of the handle. 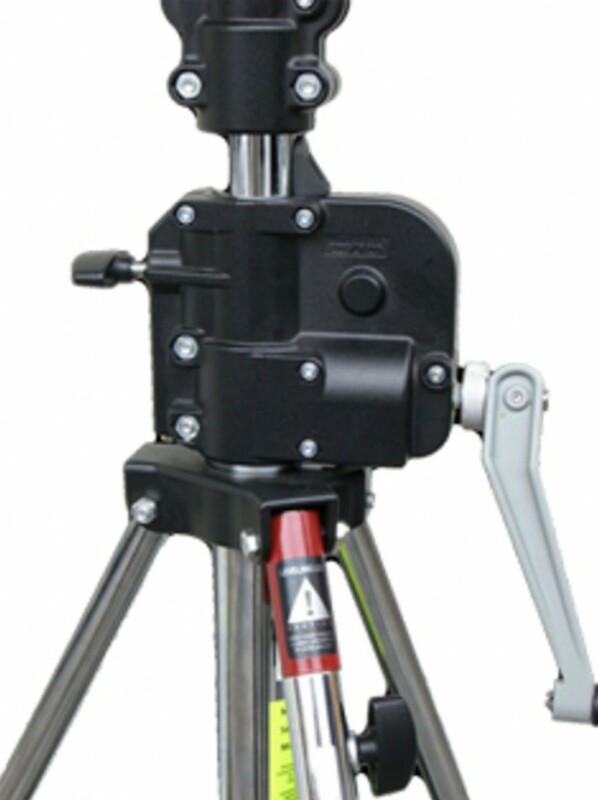 The wind up stand is made up of 3 sections, and incorporates a levelling leg for stability on rough ground or uneven floor surfaces. 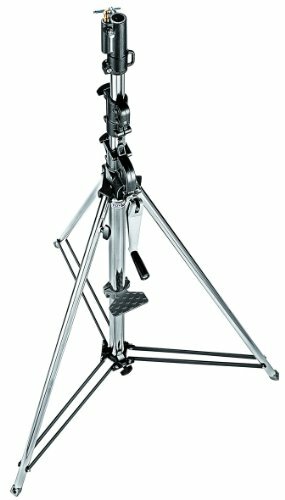 At 21.4kg weight, this stand is pretty hefty, so as with the other stands we hire, you can rent it with wheels to make it easier to reposition on set. Quick bit of maths please: required Please check your adding up. Total of 4 + 8 please. thanks for forwarding on information about the Wind up Stand.